The characteristic feature of a healthy home is the condition of a house that fulfills full cleanliness, neatness and beauty that consistently lasts throughout the day. A healthy house is not only seen because it has a beautiful, luxurious building, has a large area and has a complete property, but it is more about one's lifestyle and good habits in treating the home and environment. Imagine if there is a luxury house but inside it is very much on display. One of the characteristics of a healthy home is the realization of a home atmosphere that makes us feel at home to linger in it. Too much room property will feel stuffy and suppress the feeling of comfort so that it can attack the inhabitants of the house psychologically for example residents can be stricken with stress and unable to think broadly. Too much room property tends to cause the house to become damp, easily dirty and tiring when cleaning it one by one. Realize the condition of the house room that is light, delicious to be seen and looks broad so that harmony, comfort and harmony of the house is always maintained. Unused items should just be thrown away because it will only cause the house to look messy and trigger a buildup of dust that is visible due to wind or certain air conditions. Items that are scattered and piled up can reduce the quality of home comfort. Air exchange is very important so that dirty and dirty air can be exchanged for new air. Conditions can prevent the house from becoming moist and avoiding germs and the growth of other microorganisms. 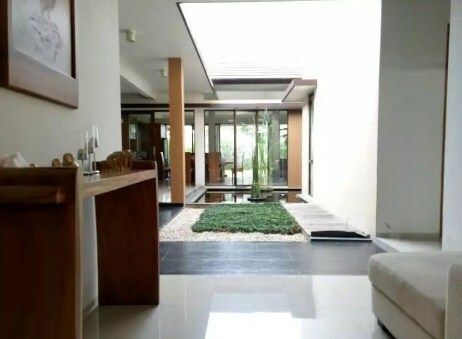 Houses that have health standards are not only focused on the condition of a neat and clean room, but also have a small garden or at least some plants that are maintained and designed in such a way that they look neat, beautiful and shade the yard. 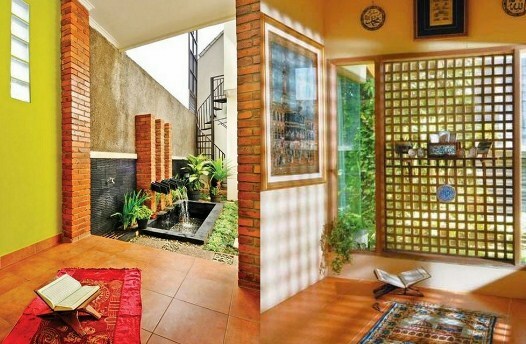 Houses that have a small garden or beautiful plants can make the courtyard atmosphere more beautiful and have lots of oxygen during the morning and afternoon. This is very good for the health of its residents. The availability of clean water is very mandatory to realize the characteristics of a healthy home which is the dream of many people. Houses that have unlimited water availability, for example because there are water pumps, wells that are well maintained or obtained from drinking water companies (PAM) can cause activities and activities in the home easier such as washing clothes, kitchen utensils and so on. One of the most characteristic features of a healthy home after the availability of water is adequate lighting. A bright room can prevent the entry of unwanted animals such as dogs, snakes and parts. Good lighting can improve the quality of life of its inhabitants because it can carry out activities comfortably and without any complaints such as children's learning activities, cooking, reading books, watching television shows, gathering with families and others. As much as possible, often clean the gutters, ditches or ponds if there is indeed to prevent the hiding place from blocking and the growth of harmful animal animals, for example mice, cockroaches, scorpions, centipedes, mosquitoes and others. Did you know that the characteristics of a healthy home that is often ignored by many people is a house that should not be close to a place where it can cause residents to have trouble sleeping, not calm and disturbed when children are learning. The place in question is a house adjacent to the garbage disposal, adjacent to the location that is prone to flooding, rivers / rivers that are dirty, slums, close to a busy market or station and tend to provide a lot of air pollution. 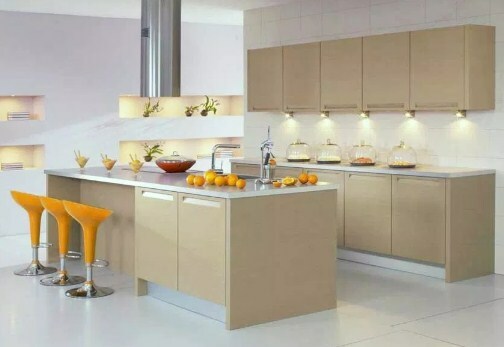 It is undeniable if the characteristics of a healthy house is a house that has a special room for storing old goods but it can still be used is a good habit to avoid items scattered everywhere, avoiding dust buildup and when you want to use it again the desired item will be easy to found. The house will feel comfortable and will not suppress the feelings of its inhabitants psychologically for example feeling bored, restless and not feel at home to linger in it if the house has a room that each has its function and is not mixed mixed. For example having your own work room, guest room, family room, kitchen room, dining room and so on. Room which has each function can calm the mind, Avoid stress and emotional unstable. 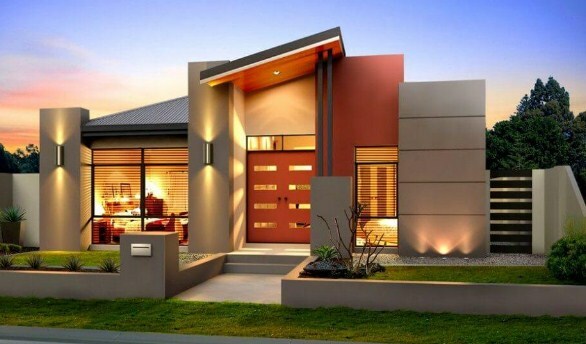 Characteristics of a healthy home can be seen when we have not entered the guest room, for example by looking at the sturdy structure of the building because it is made of good brick, the installation of a foundation that looks strong and balanced. No matter how good a house that never changes the color of the wall with a new one will still look bad and its beauty is even more lost, walls are rarely repainted can cause moss to thrive and become a breeding ground for germs, bacteria and other microorganisms that can threaten the health of residents . The availability of a clean, neat and complete bathroom with toiletries is one of the requirements for the characteristics of a healthy home for its residents. The bathroom is a place that is susceptible to impurities that contain various kinds of germs that cause disease, including the danger of bathroom worms (toilet). Because the bathroom is a place to defecate large and small and remove impurities that perch on the surface of the body. Having a high ceiling of the house can increase air circulation which brings a lot of oxygen to enter faster and smoother. Ceiling that is too short can cause the surrounding air to become more moist, stuffy and can affect a person's psychological condition such as difficulty sleeping, easily angry or feeling not free to move. Such conditions are very far from being categorized as a feature of a healthy home. Spraying with insecticides or special insect poisons from the 6-month health department is very important to minimize the breeding of mosquitoes in the home and the surrounding environment so that the causes of dengue fever and malaria do not attack. The existence of consistent activities for spraying insects can be categorized as a feature of a healthy home, because the house is free from mosquitoes. As an alternative step, spraying can also be done with personal desire, namely to buy a mosquito sprayer and spray it when night falls. Clothing that hangs behind a door or on an open wall is the most fertile place for mosquito mosquitoes to hide and can be a reservoir of dust. Clothing that piles up or hangs in large quantities and days apart from causing the view of the house to become unattractive can trigger female mosquitoes to gather and then look for locations that have water to lay eggs where the chosen location tends to be not far from the place where the clothes hang. 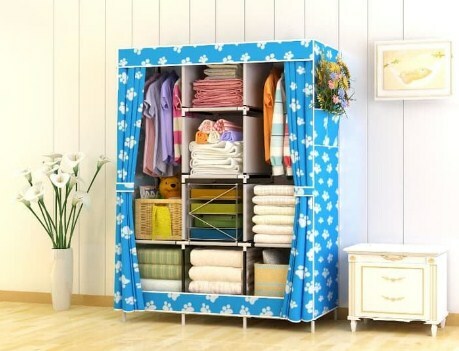 The characteristic feature of a healthy home that is most easily seen is when any room of a house is free of some hanging clothes. 0 Response to "Here are Characteristics of Healthy Houses that You Must Know"